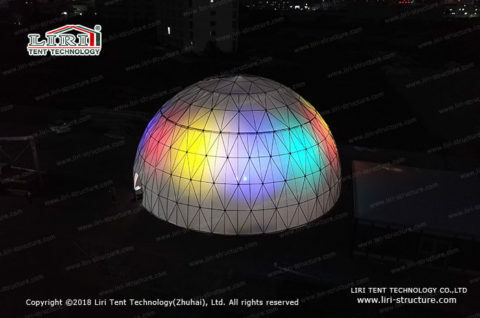 In recent years, the art space created by the interaction of lighting and technology has been used frequently. 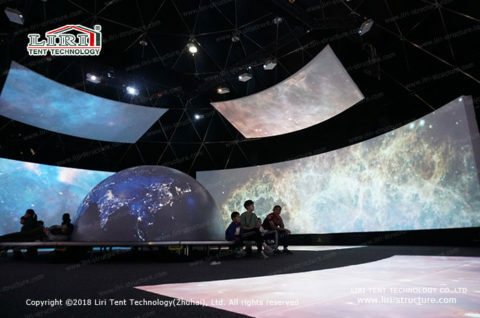 Some Mainstream theater projects have also become more and more popular. 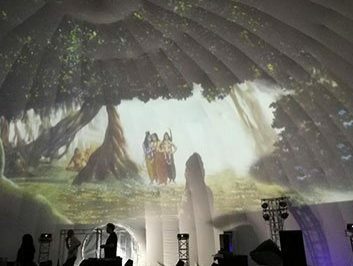 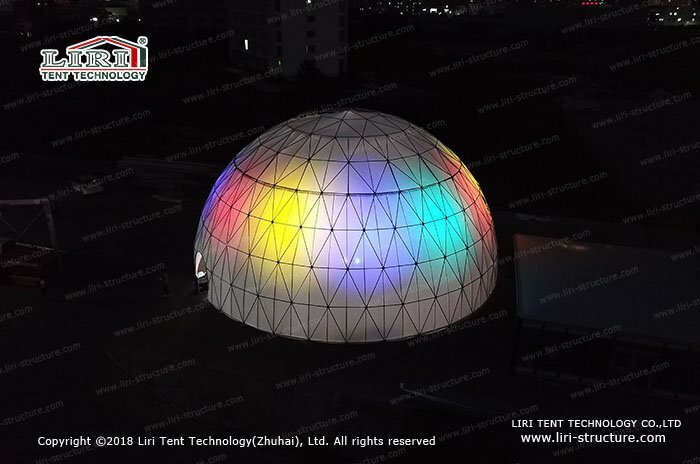 As the temporary structure, 360 projection domes have achieved very good results no matter for the commercial exhibitions or large-scale events. 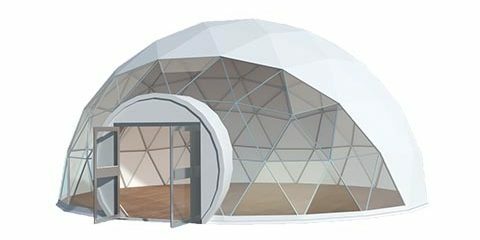 In our recent geodesic dome tent projects, the 360 projection dome is the most representative. 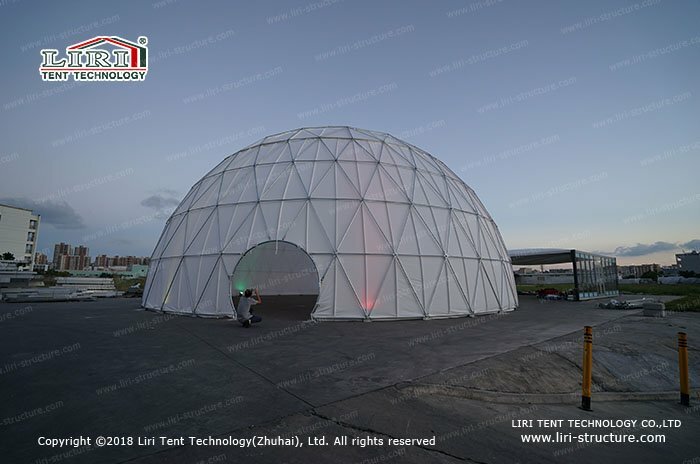 The geodesic dome tent has the advantages of its large space and has unsurpassed advantages in terms of projection. 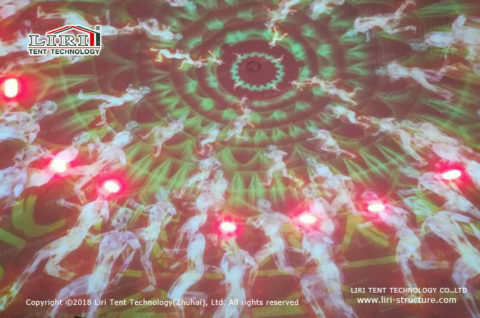 It could break the traditional pattern of the still image for the projection, making use of the light and technology to create the alternation between the real and the virtual space in the panoramic projection of the space. 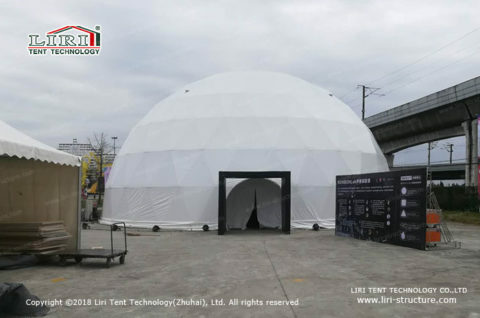 And the geodesic dome tent is with good performances in waterproof, soundproof and windproof. 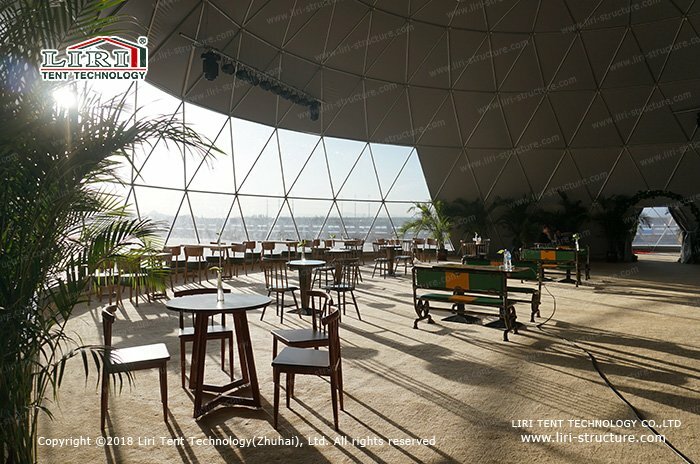 In such a wonderful space, it will definitely leave an impressive memory for all the guests. Except for that, 360 projection domes are still beautiful under nightfall. 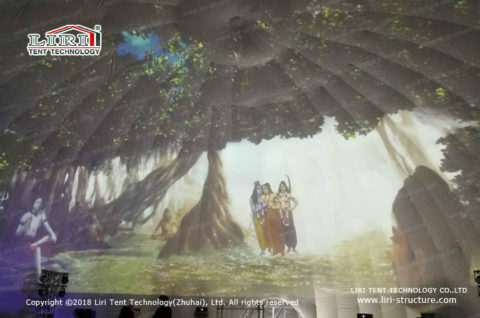 In addition to the internal projection, the external could also carry on a dazzling projection, which could fully display the brand’s log and the theme of the event, play a better brand publicity and display, and bring higher commercial value for the activities. 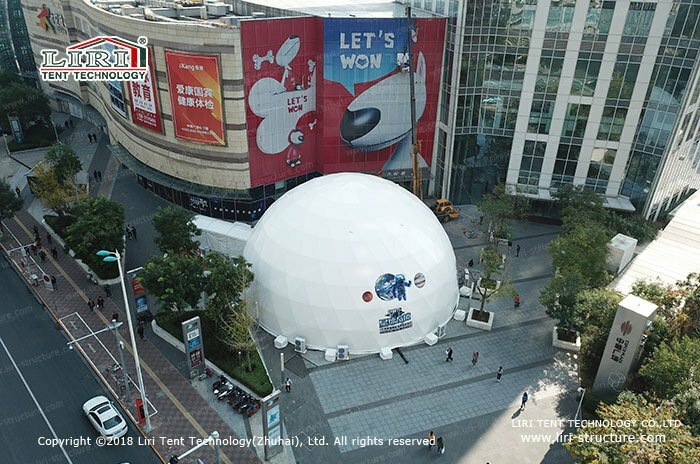 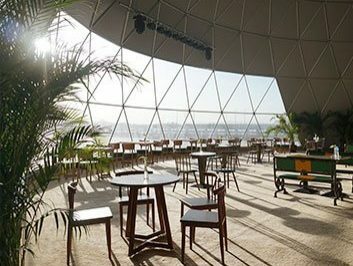 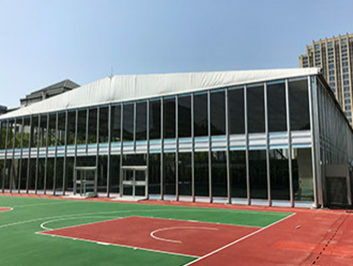 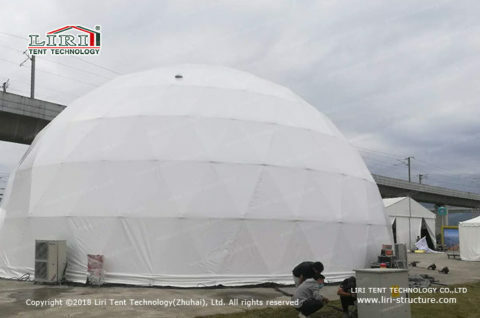 With the popularity and promotion of the 360 projection dome in different fields of modern life, whether it is a manufacturer or a customer, the functional requirements for the geodesic dome tent have been not limited to the traditional issues of accommodation, relocation and security. 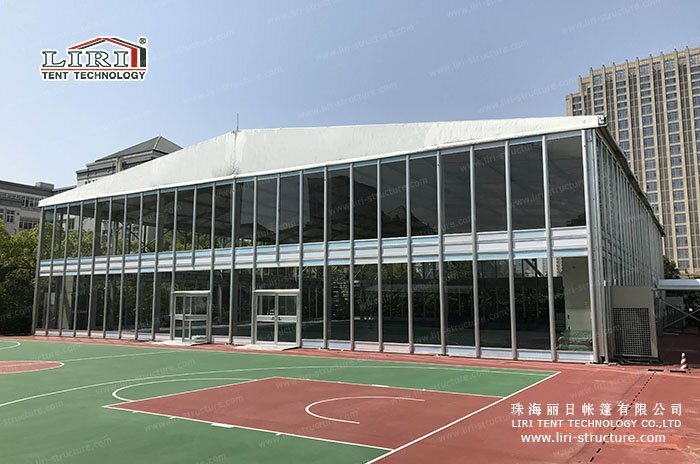 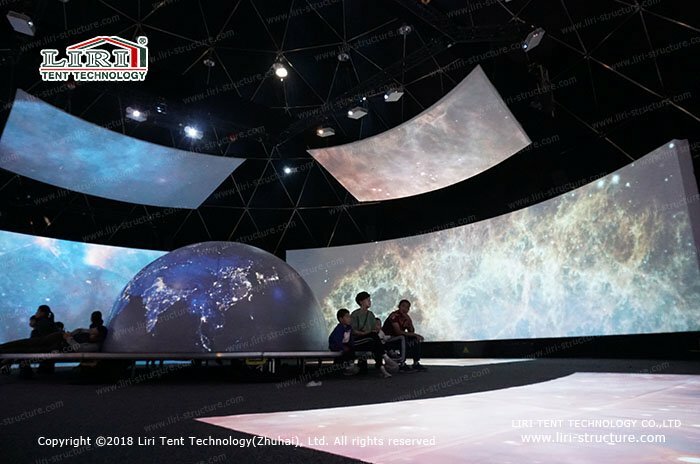 As the professional tent manufacturer, Liri Tent will certainly apply the most advanced space concepts and the most advanced audio-visual technology into the tent structure in the future.